There s nothing flat about this matte! Get perfect lips with just one stroke with our highly pigmented liquid lipstick that dries fast and has a professional style angled tip applicator. 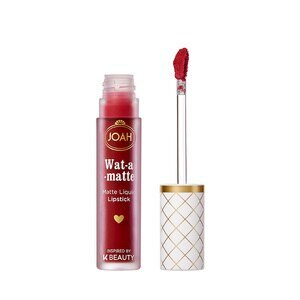 JOAH Wat-a-matte Liquid Lipstick. Starting in the middle of your upper lip, sweep color to outer corner. Repeat on lower lips, then smack lips together to blot.